Vicki Myron follows up her #1 New York Times bestseller Dewey with stories of cats who inspire their owners- includes two brand-new Dewey stories! 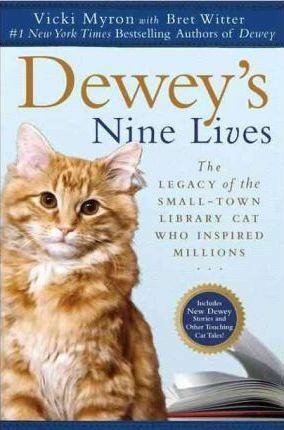 Dewey is back with more heartwarming moments and life lessons to share, all told from the perspective of Dewey's "mom," retired librarian Vicki Myron. From a divorced mother in Alaska who saved a drowning kitten on Christmas Eve to a troubled Vietnam veteran whose heart opened to a rescued cat-to two new stories featuring Dewey himself- these stories demonstrate the power animals have to touch and alter the course of our lives. This edition will also include a new, real-life story from a fan that highlights how a cat has touched his or her life.